German cantor; born at Offenbach on the Glan, Rhenish Prussia, March 14, 1841, where his father was rabbi and teacher; died at Nuremberg Nov. 16, 1900. 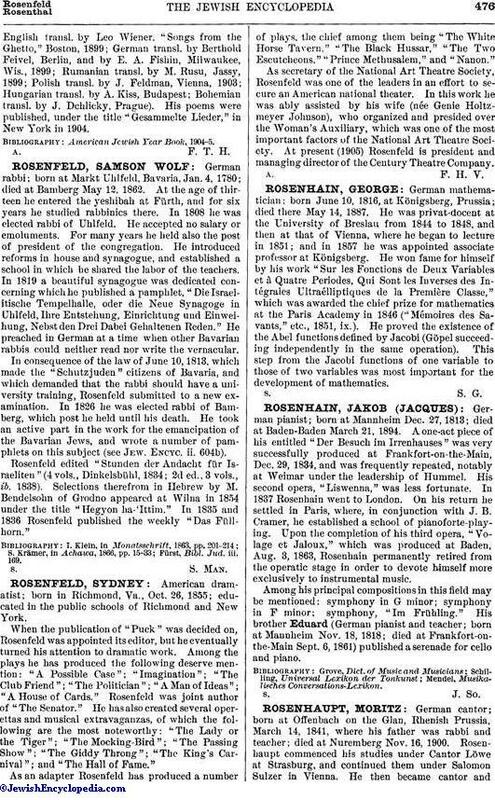 Rosenhaupt commenced his studies under Cantor Löwe at Strasburg, and continued them under Salomon Sulzer in Vienna. He then became cantor andteacher at Kochem on the Mosel, and in 1864 was called to a similar position at Speyer, where two well-known musicians became his teachers-Professor Wiss and the choir-leader Benz, who taught him theory and counterpoint. In 1881 he succeeded Josef Singer (who had been called to Vienna) as cantor at Nuremberg. 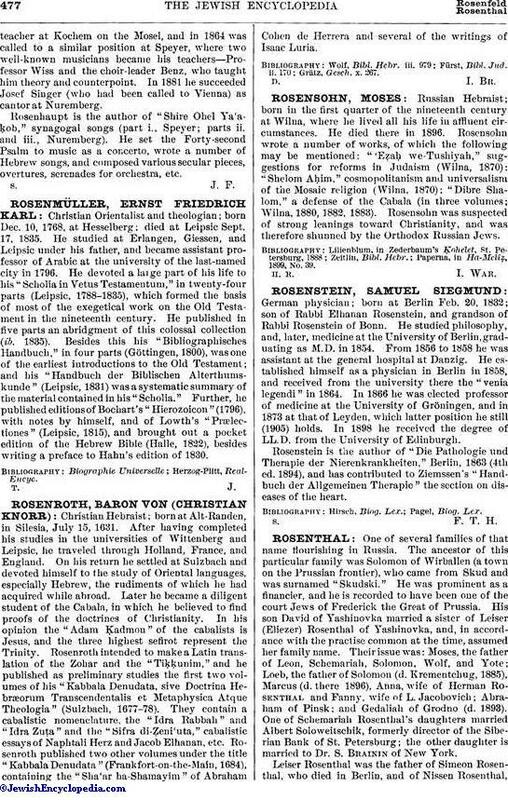 Rosenhaupt is the author of "Shire Ohel Ya'aḳob," synagogal songs (part i., Speyer; parts ii. and iii., Nuremberg). He set the Forty-second Psalm to music as a concerto, wrote a number of Hebrew songs, and composed various secular pieces, overtures, serenades for orchestra, etc.